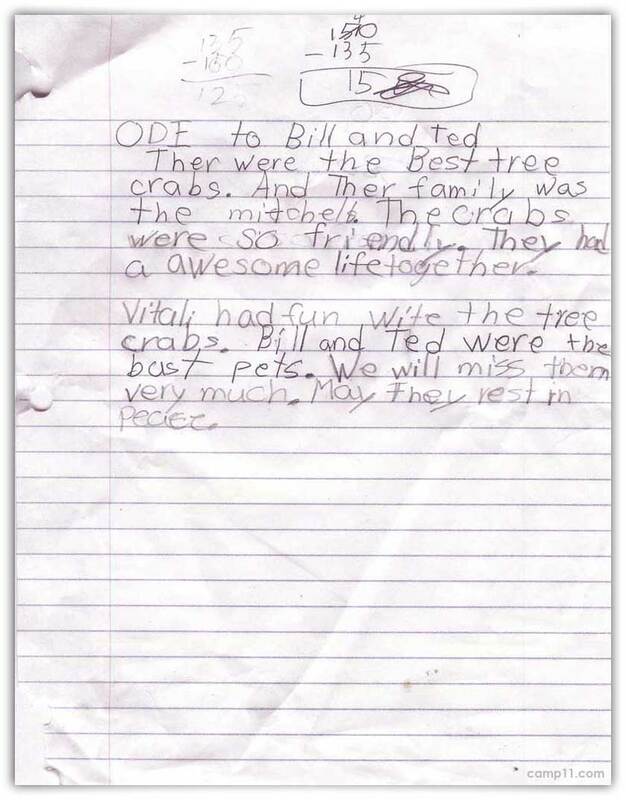 While visiting with my nieces and nephews last night, I found the eulogy that my nephew, Vitali, wrote for his pet hermit/tree crabs who recently died sitting on the kitchen table. So, Vitali received his hermit crabs, and decided to name him after the main characters of a movie Iâ€™d recently shown them, Bill and Ted, from â€˜Bill and Tedâ€™s Excellent Adventureâ€™. Sadly with Vitaliâ€™s busy life of video games, and television, Bill, followed by Ted, died before we could videotape and document a shell-jacking episode. Vitali as well as the rest of the family were crushed, and so my sister, Sher, decided a funeral was in order to help heal the wounds and provide closure to the whole affair. 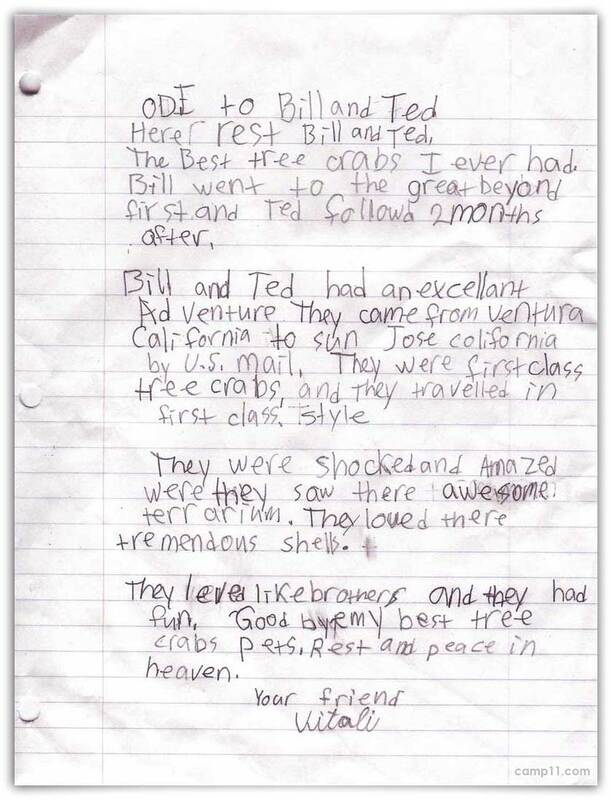 Goodbye Bill and Ted… The best tree crabs… ever. I guess it’s a good thing Greg didn’t come over while they were still alive, eh?